There aren’t alot that come to mind right away, but these fabled players I’m about to talk about do exist. Which player is that you ask? The center that can shoot the three. Most times when your center takes a three ball, you want to pull your hair out, but every once in a while you might end up with a player that can actually hit it. 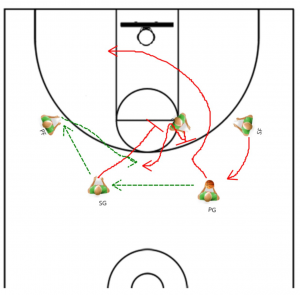 But even if your center can hit the outside shot, you don’t want him camping out by the three point line for possession after possession – you need him down there on the block! So to keep them happy, here’s a great little double screen play to get your 5-man a wide open three point shot! Setup with a four out, one in set, with your center at the right elbow. At the top of your two guard set, your point guard will have the ball on the right side. To kick the play off, he’ll pass the ball to the shooting guard and fake a cut to the inside before using a backscreen from the center. 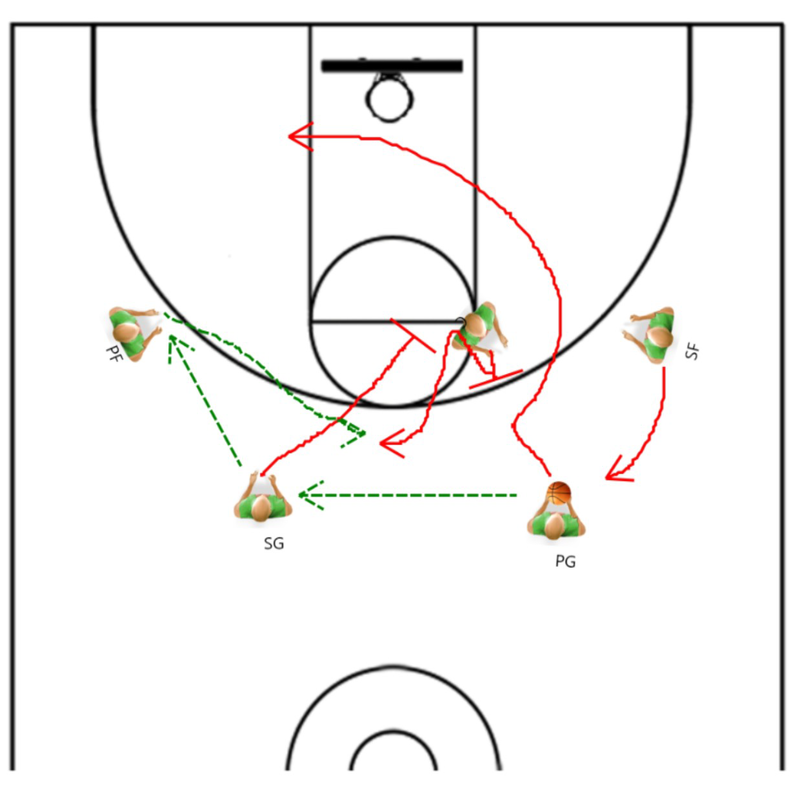 The shooting guard will swing the ball to the left wing, and then sprint to set a downscreen for the center, who has repositioned himself back at the elbow. With the point guard flowing out to the far corner, the center’s man will be forced to help on the cut, putting him in a vulnerable spot, and making it near impossible for him to fight over a good down screen. 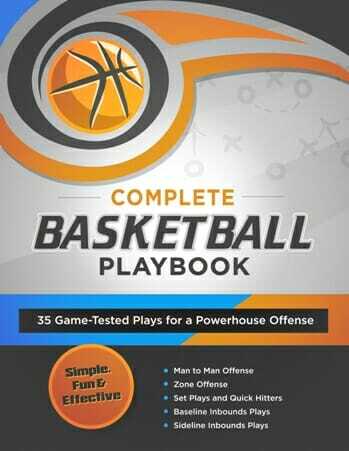 The center will step out, catch the ball from the left wing, and hit the three point shot they’ve been waiting all game to take! 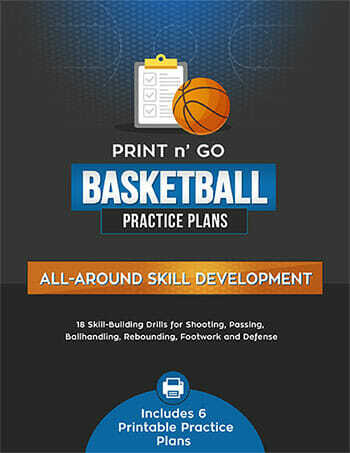 If your looking drills to get your players some range, check out this awesome three point shooting drill. 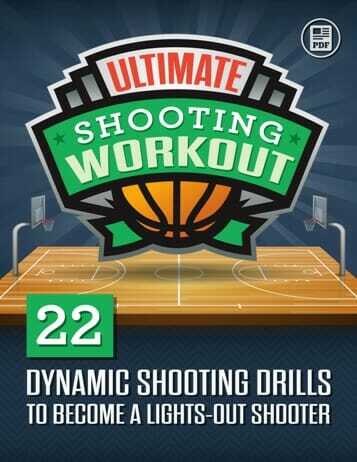 Or you can take a look at our entire archive of shooting drills, and pick one for yourself! Remember, if you’ve got any comments or questions, leave them below!